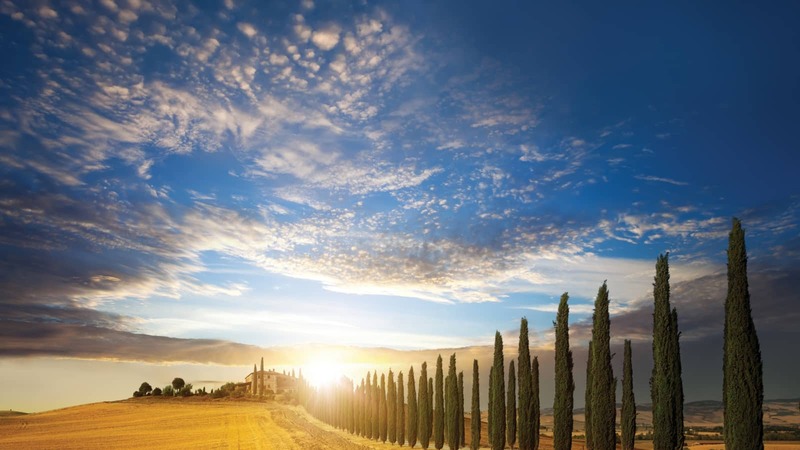 Tailormade Italian Holidays From Topflight. Bespoke Combinations to Italy's Finest Destinations. Our Tailormade service allows you to design a bespoke itinerary that suits your specific tastes. Choose from a range of Italian destinations, carefully selected accommodation and tried and tested excursions to create a holiday where every detail is carefully considered. With flexibility and personal choices being of the utmost importance, we are here to help and advise you on your holiday of a lifetime. Just call us on 01 240 1700 now to get started with your Tailormade journey. Italy has so much to offer, from romantic countryside getaways, lively cosmopolitan city stays and relaxing beachside holidays but you don’t have to choose just one. Select the Italian destinations that you want to experience and decide exactly how much time you want to spend exploring them. Whatever your preferences, we can look after you. Enjoy Italy's High Speed Rail Network. With numerous flight options available from Dublin, Belfast and Cork our Tailormade Specialists can arrange the flights that suits you best. And for your time in Italy, we can organise your preferred method of transport to transfer you to your chosen destinations. We can arrange personal car hire from our trusted suppliers, luxury high speed train travel from our official supplier Trenitalia or private car transfers. Any way you choose to get around, we can make sure that your comfortable transport is available for you. Select from a variety of accommodation styles to ensure that your bespoke holiday reflects your personal tastes. From luxury five star options to friendly, family-run hotels, our selection of hand-picked, tried and tested accommodations come with quality as standard. No matter where you decide to go in Italy, as Italian specialists, we can recommend and book the best things to see and do during your stay, according to your personal tastes. Each of our excursions are tried and tested to ensure that we have the best there is to offer. We have built relationships with some of the finest and most experienced local guides who, like us, are passionate about delivering a first-class customer service. Complete your bespoke, tailormade itinerary by adding any little extras that you want included in your holiday, to make it really special. Our Tailormade experts can add upgrades, priority boarding, champagne to your room - anything that will make your trip that little bit more memorable. Cristiana, Topflight's Dedicated Overseas Concierge. Throughout the duration of your stay in Italy our Overseas Concierge is on hand to ensure that you have all the information and assistance you need. Contactable 24/7, they will be in touch before you travel and will contact you at each point in your journey to make sure that everything runs just as smoothly as possible. Have a look at just some of the wonderful Tailormade holidays that were curated by our Tailormade specialists last year. Carol is a returning client who spoke to Sandra, one of Topflight’s Tailormade Specialists, about a special holiday for 2, during which she could take in the buzz of the city of Rome but also enjoy the relaxing, slightly slower pace of Sorrento, all in one fabulous trip. Sandra pulled together an bespoke itinerary to suit Carol and her partner’s tastes. Carol and her partner travelled from Dublin to Rome where they were greeted in the arrivals hall by their driver. They were then taken in a comfortable, private transfer from the airport to the 4 star Leon’s Place Hotel, located in the very centre of Rome. 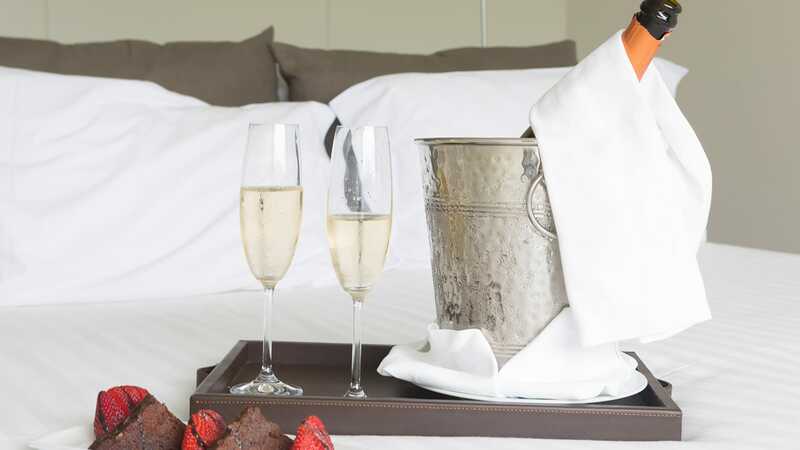 Staying in this gorgeous hotel allowed them to explore the city’s wonderful history and romance as well as take in the city’s best known sites such as the Trevi Fountain, The Colosseum and The Sistine Chapel. After their two nights in Rome, the pair travelled first class, with pre-booked seats, on the train from Rome to Naples. 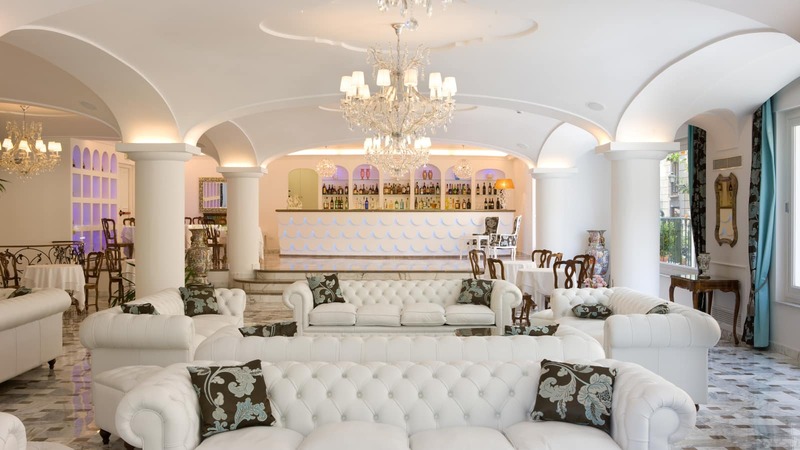 From there they were met by their driver who took them to the second hotel of their trip, the fabulous 5 star Grand Hotel La Favorita, in Sorrento. Here, they spent 10 nights relaxing and making use of the hotel’s fantastic facilities, as well as exploring the beautiful quaint town of Sorrento itself. 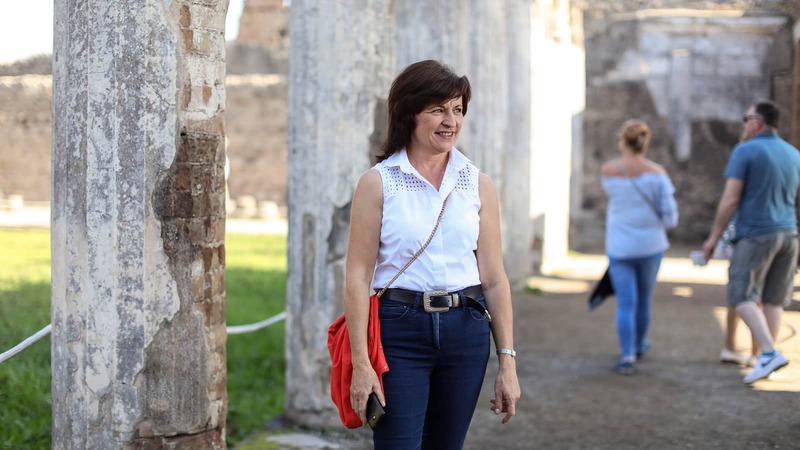 After 10 nights of relaxation and pampering, as well as some exploration with a pre-booked day trip to visit the ancient and fascinating city of Pompeii, they were met once again to be transferred back to the airport to return home. Sandra in sales continues to provide excellent help, advice and service and does her utmost to satisfy every request. Highly recommended! Karen called and spoke with Carol, Topflight’s Tailormade Specialist, about a special trip that she was planning with her father. She requested the addition of something extra special to surprise her father with on the trip. Carol helped pull a bespoke itinerary together that would suit both father and daughter’s tastes. Karen and her father travelled from Dublin to Verona where they were met and greeted by their driver in the arrivals hall. They were shown to their private car and brought from the airport to the fabulous 4 star Hotel Carlton on Grand Canal in Venice. They spent two nights in this luxury hotel and of course, spent their days exploring the incredible surroundings of Venice as well as enjoying a gondola ride on the Grand Canal. After 2 nights of taking in the atmosphere of Venice, they took a pre-booked, first class train journey from Venice on to Verona. They stayed at the 4 star Grand Hotel here and as a surprise for her father, Carol had arranged 2 pre-booked, Gold Seat opera tickets for ‘Aida’ at the Arena di Verona. This unique and thrilling experience was the highlight of their trip together. After an incredible stay, they were met once again by a driver who transferred them comfortably to the airport from where they returned home with a wealth of shared memories to treasure. Carol in the Dublin office gave me and my father a 5 star service and provided us with a tailored holiday to suit exactly what we were looking for. I have already recommended her to friends and family. Dermot called our Tailormade specialist Sandra, who was looking for a dream Italian holiday. As a returning client to Sandra, she had built up knowledge on what Dermot’s tastes and preferences were and suggested an itinerary that he not previously considered. Knowing that Dermot had already been to Italy, Sandra was keen to show him the many sides that Italy has to offer and so suggested something different. Dermot and his wife travelled from Dublin to Pisa International Airport where they were met in the arrivals hall by their driver. They were transferred comfortably from the airport to their gorgeous hotel in spectacular Tuscany. They would stay in the 4 star Palace Hotel in Viareggio for 7 nights and enjoy a relaxing stay on the Tuscan Coast, taking in the sun and relaxing by the beach. After their 7 night beach-side stay, they were transferred back to Pisa airport, where they flew to Bari airport. Here, they picked up a rental car, that had been pre-booked for them, for use for the 7 remaining days of their holiday. They drove to their first hotel in this region, the 5 star Hotel Covo dei Saraceni, in Polignano a Mare, where they would stay for a blissful 3 nights. They spent their days exploring the beautiful Adriatic coastline both by foot and with their rental car and the evenings indulging in the delicious food and wine of the region. After their 3 nights stay, they drove on to explore a different area, the beautiful city of Lecce in Puglia. They stayed in the 5 star Patricia Palace Hotel, right in the centre of the city, amongst it’s beautiful baroque buildings and rustic Italian charm. They spent 4 nights here, exploring the surroundings, enjoying the atmosphere and driving to some of the nearby sites. On their final day they drove back to the airport where they returned their rental car and boarded the plane to return home having enjoyed discovering a new side of Italy. Sandra always puts together our tailormade holidays to perfection. She is a gem.